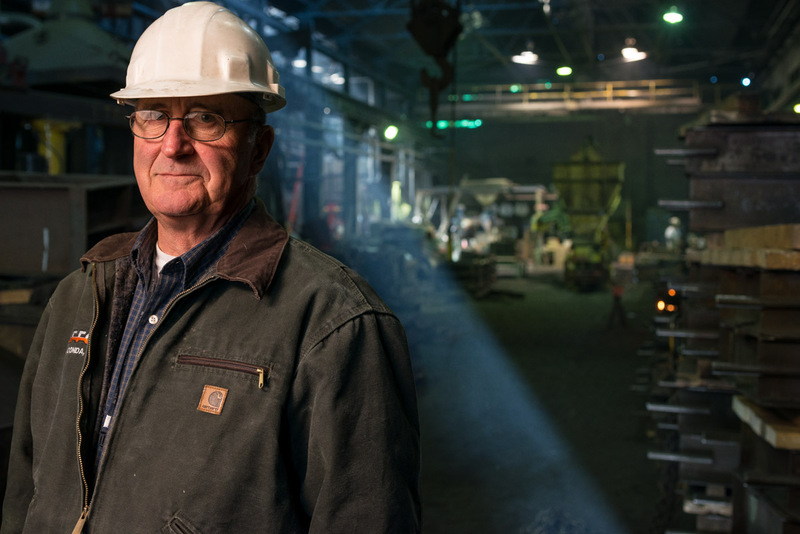 The new issue of Montana Quarterly is out and among other great stories is Jim Gransbery’s profile of the Anaconda Foundry Fabrication Company, in business since the 1890s. 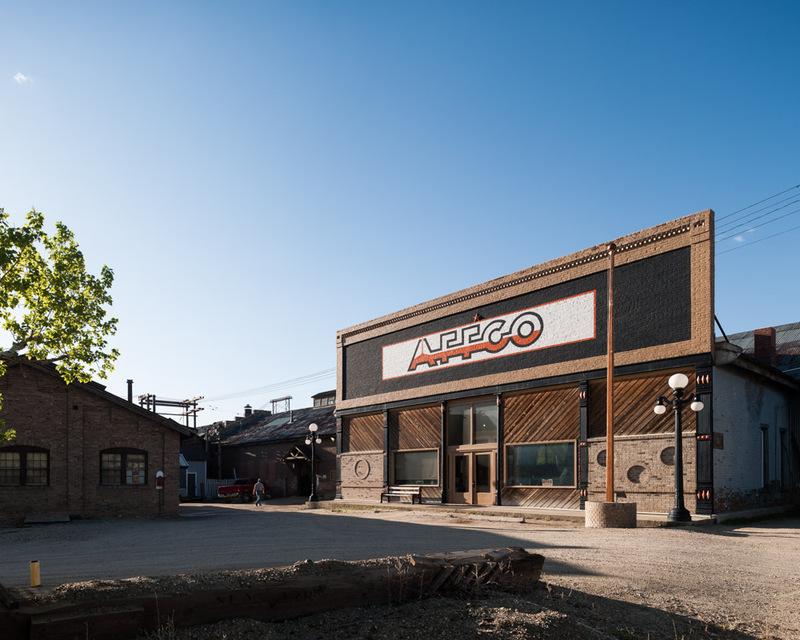 They do a lot of cool things at AFFCO, but nothing beats the pouring of metal ore into molds. The ore is so hot it looks like liquid fire. Jim Liebetrau is president of AFFCO. He and two other men borrowed $600,000 in 1980 to purchased the foundry from the Atlantic Richfield Company, which had closed the foundry some weeks before. Liebetrau and his partners had just six employees. 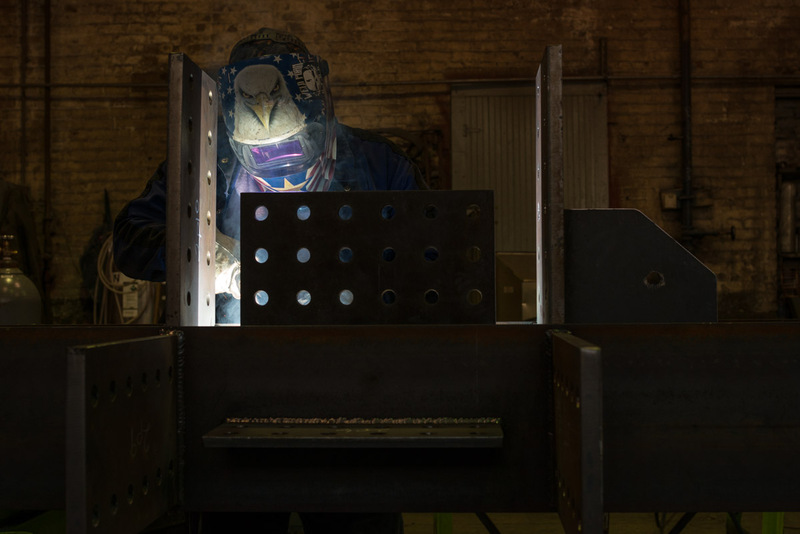 Today, AFFCO employs more than 75 people in five departments: metal fabrication, where Allen Thorpe welds together a structural beam, a machine shop, a mobile construction component, and an industrial supply store in addition to the foundry. There’s state-of-the-art equipment, sure, but a lot of the technology used at AFFCO has gone unchanged for a long time. 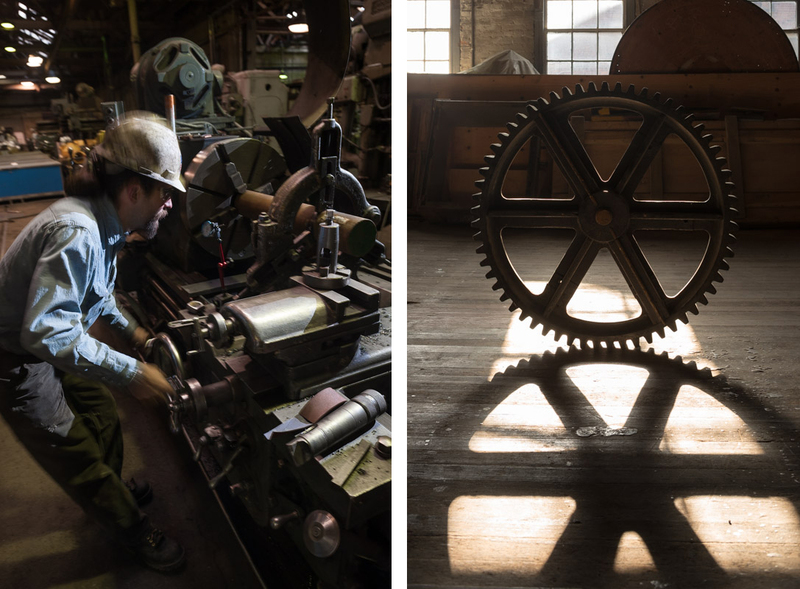 Machinist Sterling Schmidt uses a lathe dating from the 1950s to form an idler shaft for a piece of machinery, and molds like this gear made from wood by hand shortly after Custer and his men lost the Battle of the Little Bighorn are still available if needed. See these on my website. Hi There. We are working on a new website for the Anaconda Chamber of Commerce. I was wondering if we could use one of your AFFCO photos with photo credit on it. No thanks, Adam. Good luck with the new website.